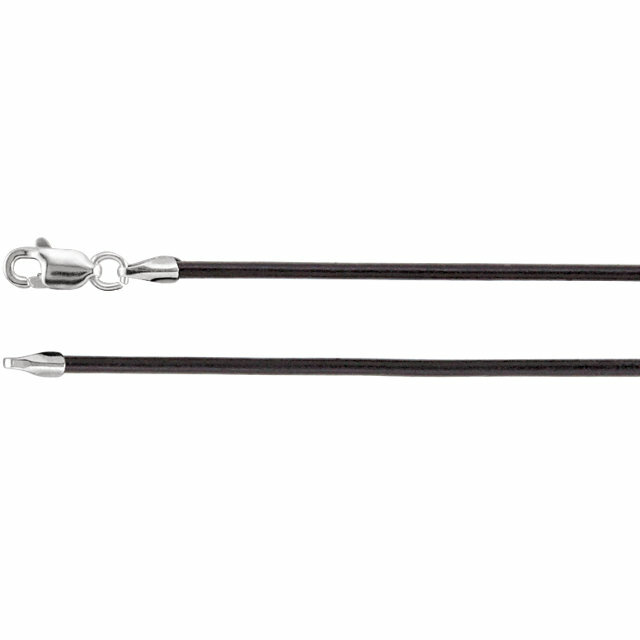 Currently Unavailable - No restock date at this time. 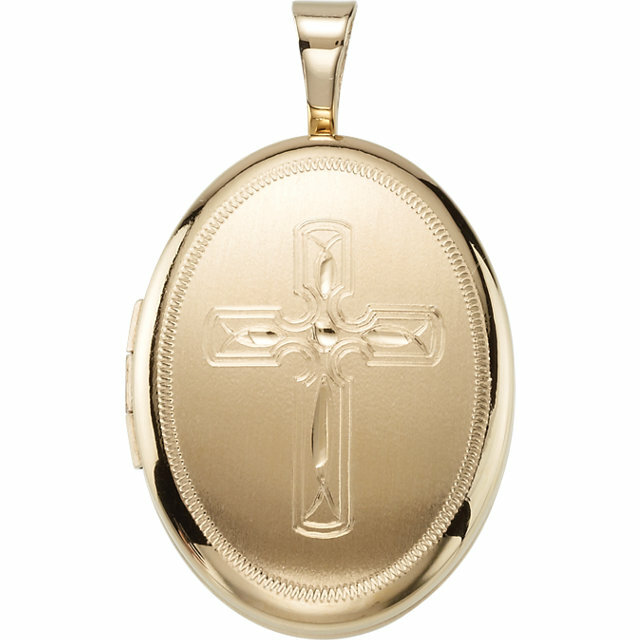 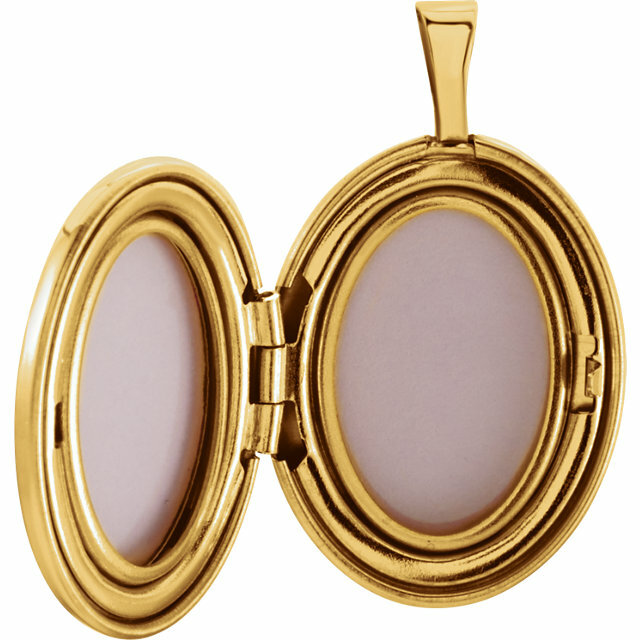 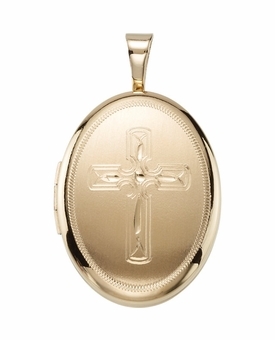 Our Oval Modern Design Cross Gold Vermeil Memorial Locket Jewelry Necklace is a hinged locket capable of holding two of your photos. 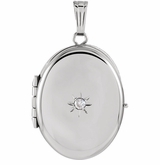 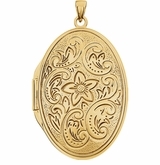 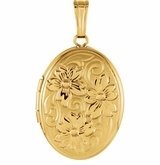 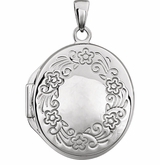 A locket offers a classic and traditional way to memorialize a loved one. 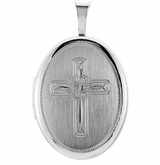 Does not hold ashes.